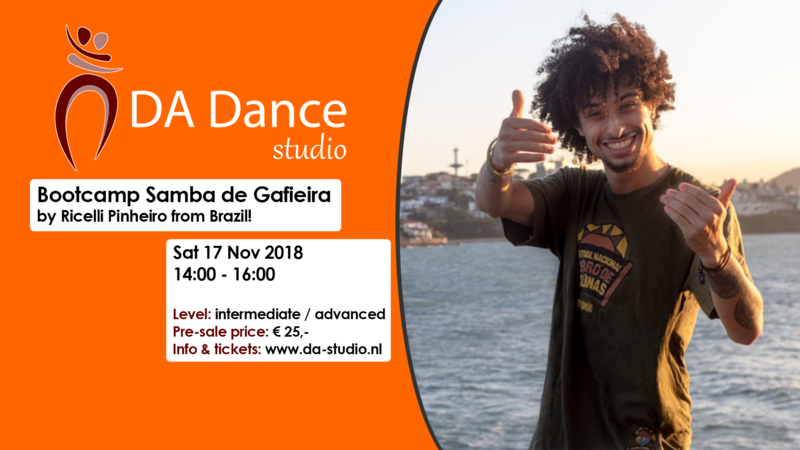 With great pleasure DA Dance Studio welcomes Ricelli Pinheiro from Brazil on 17-Nov! He is a teacher in Escola de Dança Jaime Arôxa – Zona Norte – SP and Dança de salão. It’s Ricelli’s first time to Rotterdam and he has a lot to share with us! Come join us and learn more about Samba de Gafieira. Get your tickets today to ensure your spot.